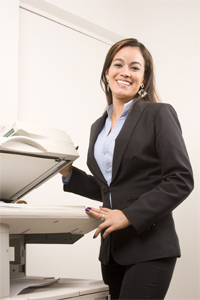 A refurbished copier is one that has been inspected, cleaned, tested, and fully restored to like-new condition. Most refurbished copiers have considerably low page counts, and can provide you with many years of future service. Costs for a refurbished copier generally run about 50-75% less than the price of a similar new model, illustrating the fact that SAVING MONEY is the number one factor in choosing a refurbished copier. We’ve been providing high quality refurbished copiers to our customers for years. We support most major brands from Brother to Xerox – including Canon, HP, Konica and everything in between! Not just one brand of refurbished copier! We support all of the major manufacturers. With a range of new and used copiers, we have an unbiased selection to choose from – ensuring you get the right machine for your office or business needs. Talk with us before you buy your next copier, and make sure you’re getting the best possible deal! Get your Refurbished Copier Quote right now! Or, you can call us or use the form below to get a discussion started.